Private education institutions have already started using online communication trends efficiently. Education institutions that are adapted to the digital world both create a difference in the education easily and announce their student’s achievements to the wider audiences. 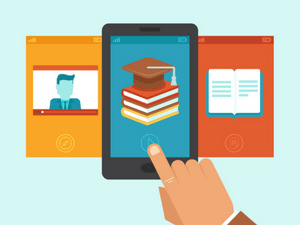 Mobile apps for schools become an important tool for private education institutions with their unique solutions. Thanks to the mobile apps, students who study at the private schools access to the course curriculum with only a few finger movements, and parents can reach information about their student quickly, moreover; it gets easier for teachers to keep in more contact with their students. So, what are the other advantages that can be provided to private schools by mobile apps that provide efficiency to all stakeholders, time-saving and a host of convenience? Thanks to the mobile apps, users can reach any information regardless of the time and the place. With mobile apps that provide a great convenience for teachers and students, any user can control the lecture schedule and follow the developments that are updated spontaneously. Moreover, it is possible to reach all the users via push notifications at once and inform everybody about an important event. Features provided by the mobile apps can be used for informing students about the subjects of home works, informing parents about an upcoming school event or announce the exam schedule. Accoording to Mobiroller, digital world that forms a sufficient platform for marketing is also useful for private education institutions to reach potential customers. Mobile apps that enable anyone to reach the history, achievements, and teachers of the school which parents are mostly interested in have become an important channel for private schools. Moreover; a gallery that shows the equipment of the school can be placed in the mobile app, so reaching parents online can be possible instead of waiting for them for introducing the school. The number of mobile users is increasing day by day, and there are students at any age among these users. Mobile apps which are one of the blessings of the internet technologies that is getting significant in the field of education provides countless advantages to the private schools. If you want to grow a generation that is aware of the developments, create your MobiRoller account and take the first step to bring the name of your educational institution to the future.